Alright. Here comes the next song of our last recording session. It is called “talking plane home delay blues” and was written on the WOMAD songwriting workshop in Bath by Mike Hembury and me. As I already noted, it contains some common lines with one of Andy White’s new songs. The amazing voice in the beginning belongs to Hikmat Al-Sabty of the fantastic ensemble Ourud Elmahabbe. Thanks to him and all the other musicians involved. 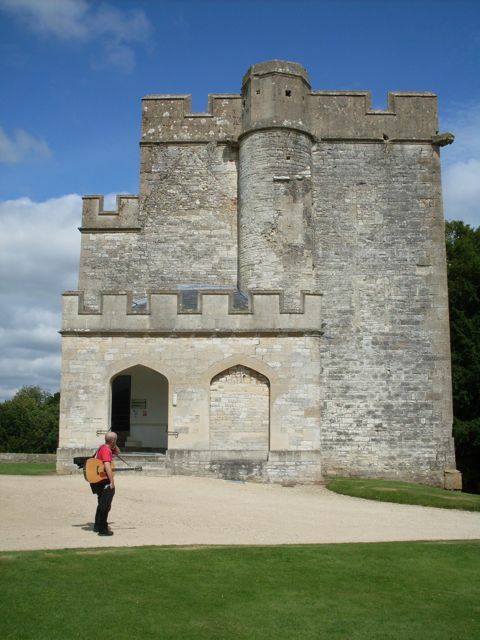 Mike Hembury in front of the “Castle” in Bath, the birthplace of the WOMAD songwriters. This entry was posted on Tuesday, December 2nd, 2008 at 3:02 am and is filed under art/kunst, Johann Strube. You can follow any responses to this entry through the RSS 2.0 feed. You can leave a response, or trackback from your own site.